This baseball glove leather wallet has 3 slots instead of the usual 2-slot Vvault, and this 3-slot wallet really looks great! 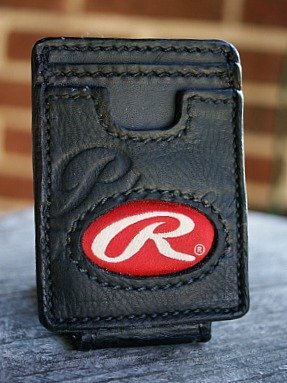 Created with a Rawlings glove, this 3-slot wallet can hold cards, money, and whatever else. It’s still a slim front-pocket wallet with a skosh of extra room for something special. We can make one for you! 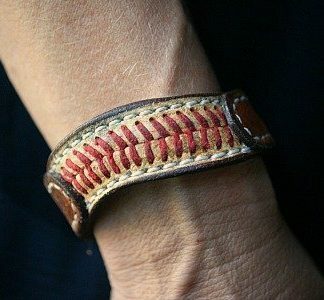 Just send us your glove! 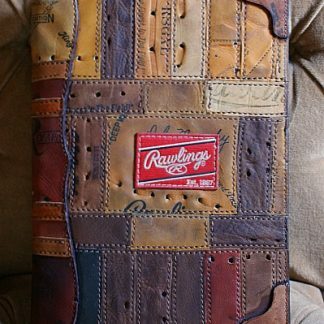 I purchased my first wallet about three years ago and it is still in amazing condition and only looks better with age – just like a baseball glove. I ordered this design as I wanted to try the magnetic clip on the side. 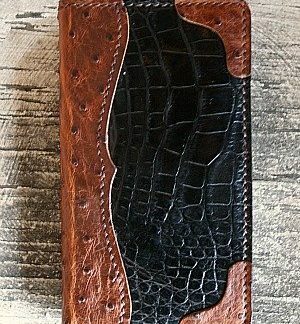 The construction and quality is unsurpassed and if you love baseball or looking for a high end wallet this is the place to get it. Great company and excellent service!